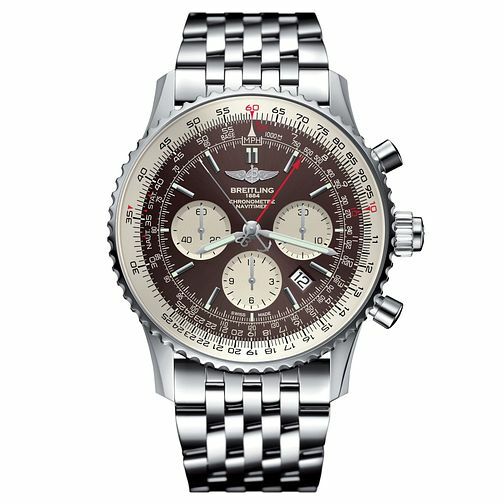 Favourited amongst Pilots, the Breitling Rattrapante offers exceptional accuracy and reliability. With a Navitimer steel bracelet with folding clasp and stainless steel case, the Pan-American bronze dial with baton indexes and luminescent hands, with a red seconds hand chronograph dial is framed with a distinctive ridged bezel. Powered by chronometer-certified automatic movement, this timepiece strikes the perfect balance between style and function.